Capes, I believe, are the best way to add something a little unexpected to a fall outfit, while still looking classic. Every year I tell myself I am going to invest in one, but it wasn't until this year that I found a few I truly love. 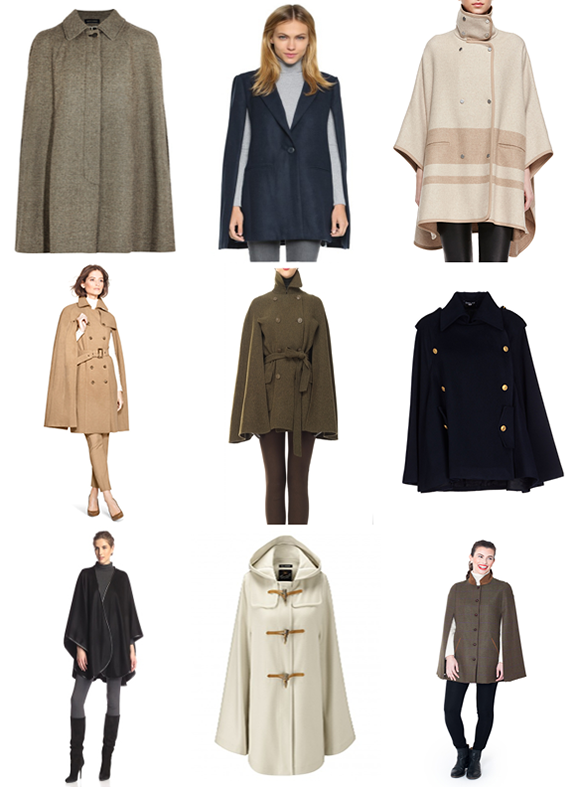 I would be thrilled to add any of the above capes to my outerwear wardrobe. (If only I could pick just one!) Help me out by telling me which one is your favorite!